Working as husband and wife Chicago weddings photographers for the past 10 years, we often are asked for advice when choosing wedding photo locations and venues. Without a doubt, to keep your wedding classic and timeless, we love an urban look incorporating the cityscape and always look for naturally beautiful locations to capture timeless and classic wedding photos. Ivy is one of our favorite nods to Chicago with a bonus as it also provides a nature look. We love the Ivy Room wedding venue’s picturesque qualities. 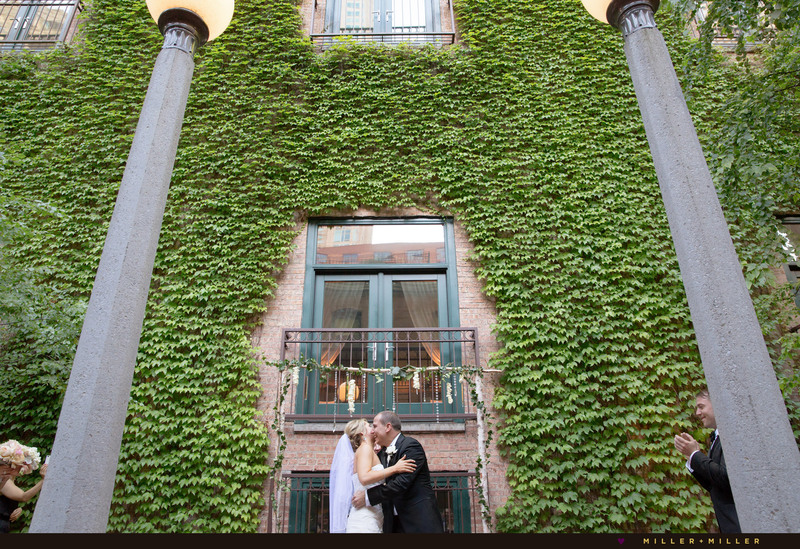 The urban elements of a courtyard, brick walkway, firescape ladder stairs, and alleyway is balanced elegantly & softened with the lush green romantic ivy and birch trees providing for an amazing Chicago setting for wedding photography. 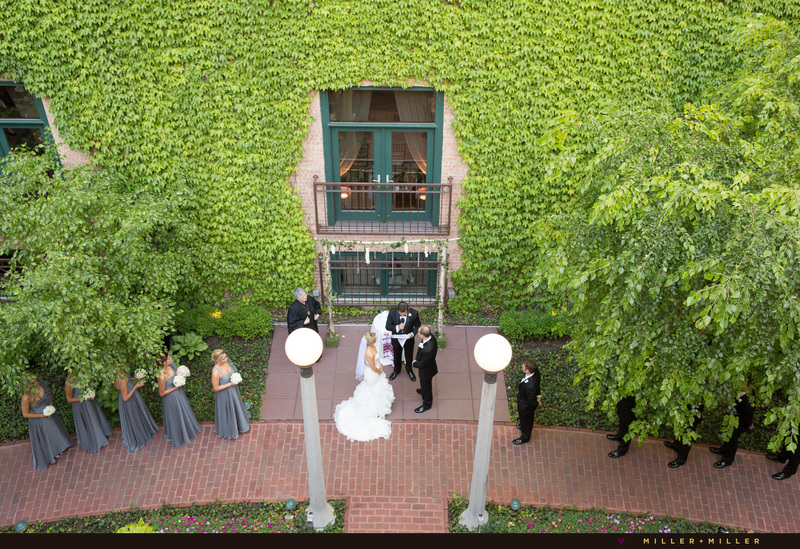 The Ivy Room at Tree Studios is an urban garden, greenery wedding venue in Chicago and is truly a hidden secret! 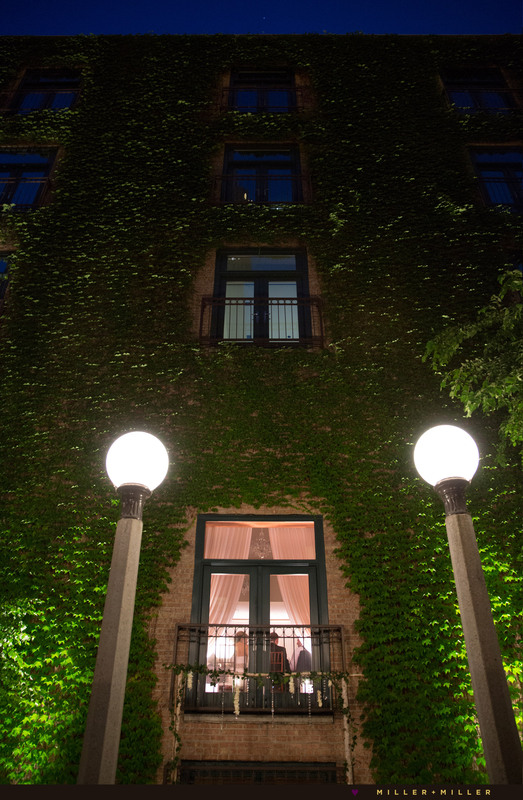 90% of the four story, brick Chicago building is covered in lush, green ivy. 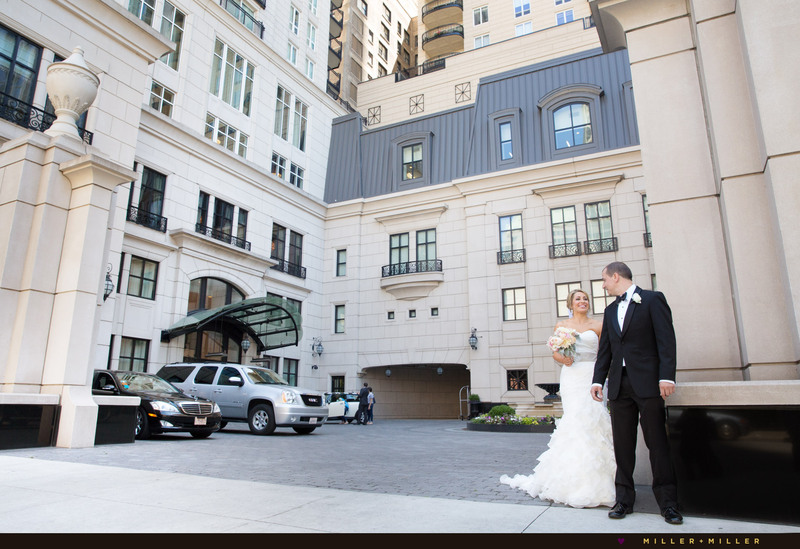 The private courtyard is in the middle of the lively, urban bustle of the city, but yet provides the perfect romantic space for memorable weddings, portraits and photography, an outdoor ceremony, and your indoor / outdoor wedding reception events. 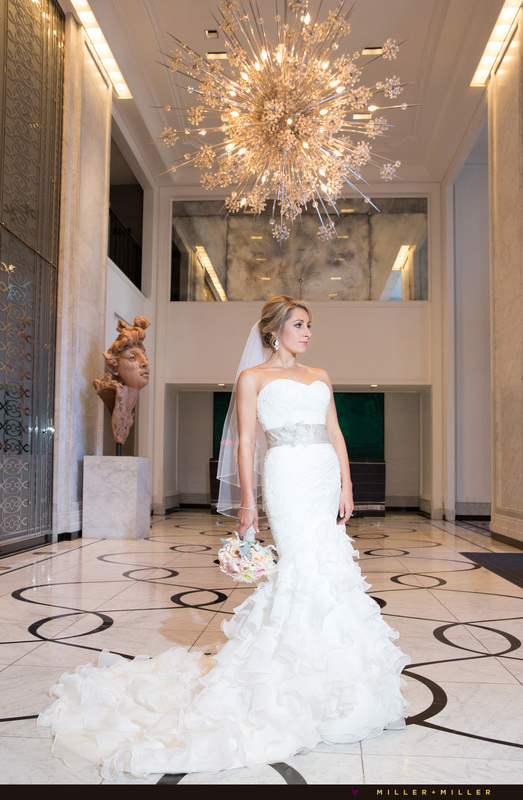 Located right in the heart of Chicago’s River North neighborhood, spoil your guests with a wedding weekend steps from the Magnificent Mile. 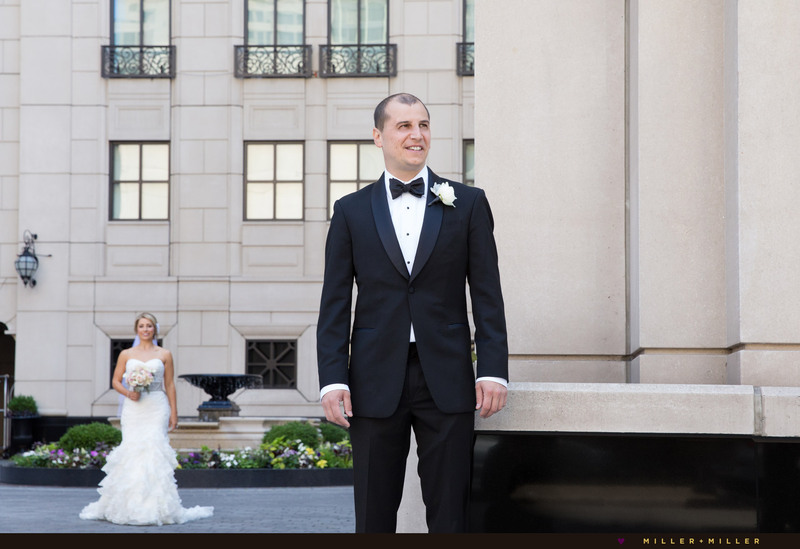 The Ivy Room in River North is also ideal for close-by wedding photos locations with several Chicago wedding photography favorite spots on Michigan Avenue, by the Chicago River, or along the Chicago bridges with amazing skyline views just minutes away. Inside, the Ivy Room’s indoor expansive ballroom located on the second floor is elevated, overlooking the ivy filled brick courtyard below. Open the ballroom’s gorgeous french doors to bring the outdoor breeze and sounds of the city inside. The Ivy Room has stunning high ceilings and is a blank palette – florists and wedding designers love filling the space of the Ivy Room with chandeliers, lighting, florals and bringing inside natural beauty, tall arrangements, or suspended ivy and greenery pieces often complimenting the outdoors and always completely transforming the ballroom space amazingly. We love the idea of tying in the ivy outdoors inside – incorporating a lot of botanical texture inside the ballroom adding flowers or greenery to create warmth and comfort within the space. Impress your guests with the unexpected… this hidden ivy courtyard is a picturesque space for a memorable wedding day, from an outdoor ceremony to dancing outside and celebrating after dark under the stars or evening sparklers. 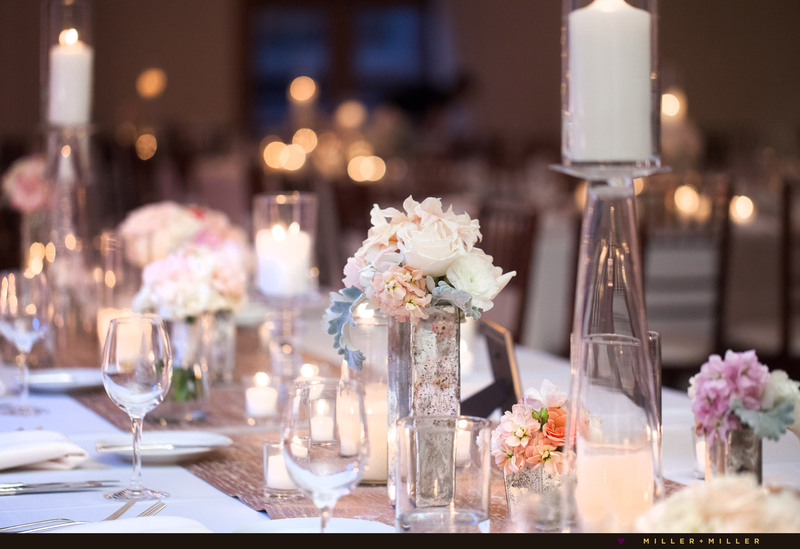 The Ivy Room is a fabulous urban and romantic wedding location many Chicago brides are searching offering to fulfill her dream of an alfresco wedding ceremony, or breathtaking reception with an outdoor space for a non-traditional ballroom wedding event. 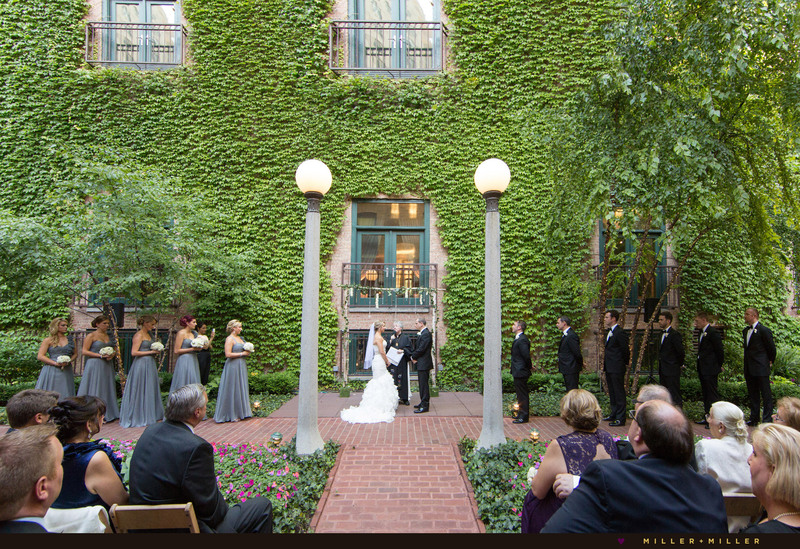 We absolutely love the Ivy Room and we can not wait for our next wedding in this urban, brick and lush green ivy courtyard. 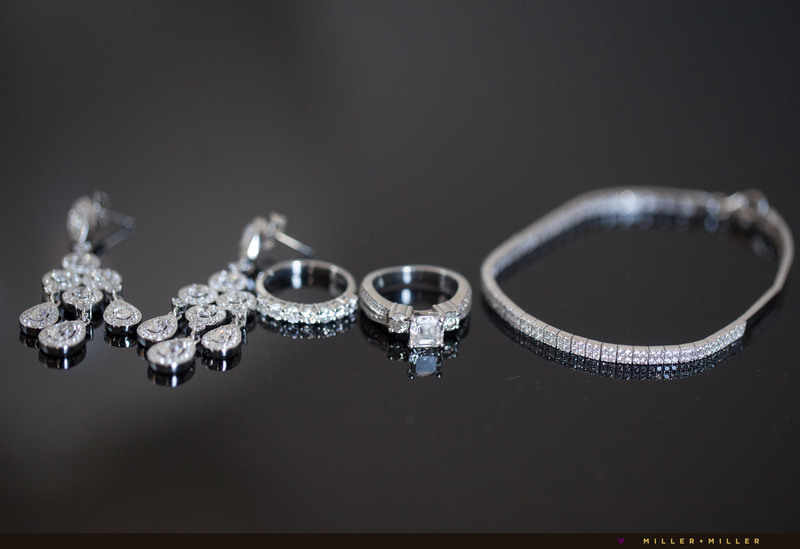 Searching for a Chicago wedding photographer team to capture your day? We are husband and wife photographers who love capturing all the moments of your day starting with the day’s getting moments. 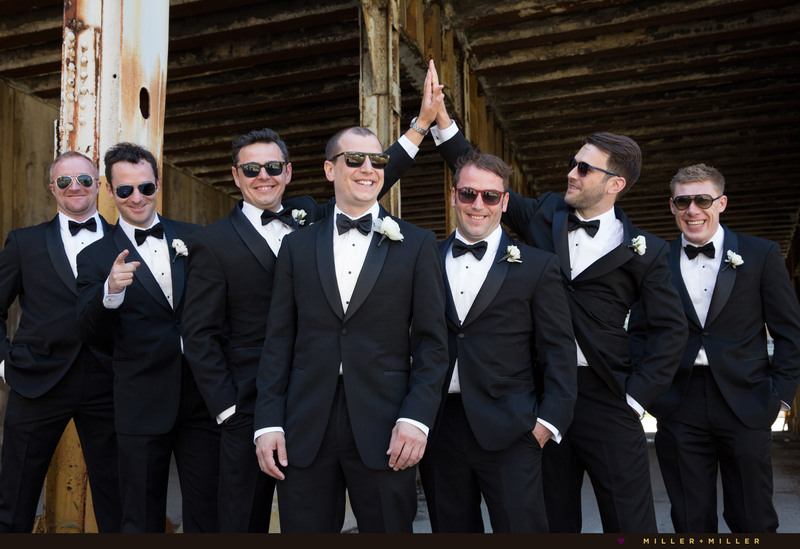 From photos and portraits near the ivy at the Ivy Room, to the ceremony, reception and photographs under the evening city lights, the Ivy Room at Tree Studios in Chicago in amazing venue for it all to unfold. 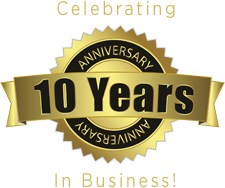 Contact us at 630-373-2411 or send us an email to see if your wedding date is still available on our calendar. We look forward to speaking to you soon and learning about your Ivy Room wedding day plans and discussing Chicago wedding photography ideas.